The SDRplay is a $149 USD RX only software defined radio with a 12-bit ADC and up to 8 MHz of bandwidth that can tune from 10 kHz – 2 GHz. We consider it and it’s competitors the Airspy R2/Mini to be the best next step up from an RTL-SDR. See our previous post for a review comparing the Airspy and RSP. One of the main drawbacks of the RSP has been that it does not have any official software associated with it. The closest competitor, the Airspy has the free official SDR# software, but the RSP relied only on third party programs like HDSDR and SDR-Console. Multiple ‘Virtual Receivers’ which allow for simultaneous reception and demodulation of different types of signals within the same receiver bandwidth. SNR (stereo noise reduction), featuring a proprietary noise reduction algorithm for stereo broadcast. Calibration for receiver frequency errors. Studio 1 is known for its user friendly stylish GUI, CPU efficiency and advanced DSP capabilities, including features not available on other SDR software packages. 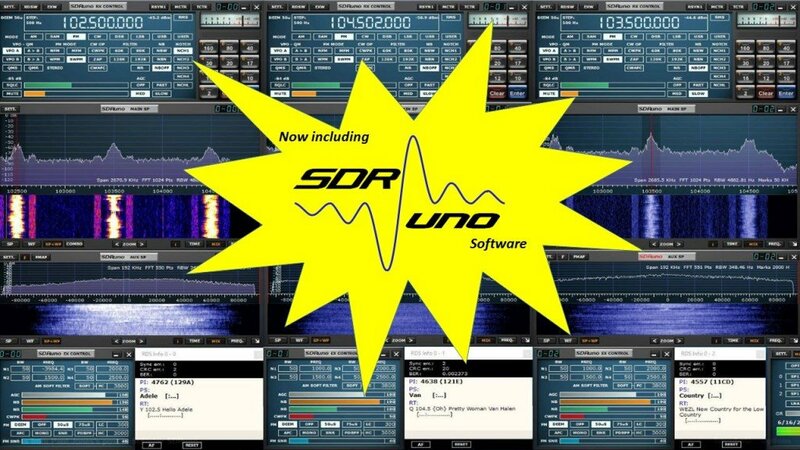 The software can be downloaded at http://www.sdrplay.com/windows.html. SDRuno comes with a full manual (pdf) and SDRplay fans and beta testers of SDRuno have also released a free SDRuno cookbook guide (pdf). From the cookbook it appears that SDRuno is also compatible with any SDR that supports ExtIO modules, like the RTL-SDR, although as noted in the press release functionality for other radios may be reduced. We look forward to being able to test the software out, and post a review within the next few days.